Aceclofenac is a non steroidal agent with marked anti-inflammatory and analgesic properties. It is a potent inhibitor of the enzyme cyclooxygenase which is involved in the production of prostaglandin. It also stimulates cartilage matrix synthesis. 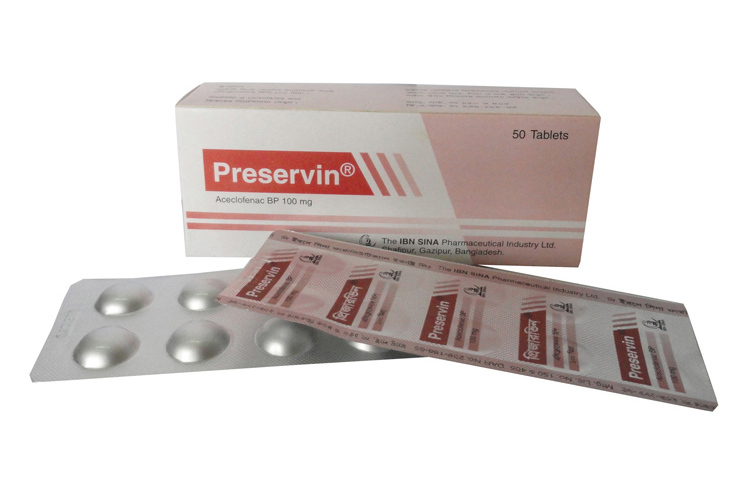 Preservin Tablet: Each film-coated tablet contains Aceclofenac BP 100 mg.
Preservin Tablet: Adults: The recommended dose is 100 mg, twice daily. Children: There are no clinical data on the use of Aceclofenac in children. Elderly: The pharmacokinetics of Aceclofenac is not altered in elderly patients, therefore it is not considered necessary to modify the dose or dose frequency. The majority of side-effects observed have been reversible and of a minor nature and include gastro-intestinal disorders (dyspepsia, abdominal pain, nausea and diarrhea) and occasional occurrence of dizziness. Dermatological complaints including pruritus and rash and abnormal hepatic enzyme levels and raised serum creatinine have occasionally been reported. Aceclofenac should be administered with caution to patients with symptoms indicative of gastrointestinal disorders, with a history of peptic ulceration, ulcerative colitis. Crohn's disease, hepatic porphyria, and coagulation disorders. 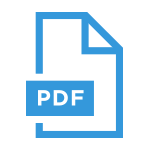 Lithium and Digoxin: Aceclofenac, like many NSAIDs may increase plasma concentration of Lithium and Digoxin. Diuretics: Aceclofanac, like other NSAID may interact the activity of diuretics. Anticoagulants: Like other NSAIDs Aceclofenac may enhance the activity of anticoagulant. Close monitoring of patients on combined anticoagulants and Acaclofenac therapy should be undertaken. Methotrexate: Caution should be exercised if NSAIDs and Methotrexate are administered within 24 hours of each other, since NSAIDs may increase Methotrexate plasma levels, resulting in increased toxicity. Store below 30˚c and dry place, protected from light and moisture. Aceclofenac should not be administered to patients previously sensitive to Aceclofenac or in whom aspirin or NSAIDs precipitate attacks of asthma, acute rhinitis or urticaria or who are hypersensitive to this drug. Preservin Tablet: Each box contains 5 X 10 tablets in Alu-Alu blister pack.